Extend the set time of conventional, veneer and lime finish plasters and setting-type joint compounds. 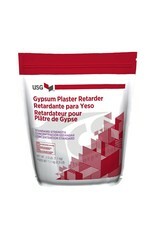 Easy to use formulations meet a variety of setting times; allow time for proper plaster application and finishing. Prior to use of any additive, mix a trial batch of formulated product and determine the set time. Once the set time is known, a measured amount of USG retarder/water mixture is added to adjust the set. Any available container (wax cup, coffee can, measuring cup, etc.) can be used to measure the retarder/water mixture. Keep mixing equipment clean between batches to prevent altered setting in subsequent mixes. 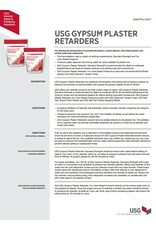 All retarders should be mixed with water before adding to plaster. 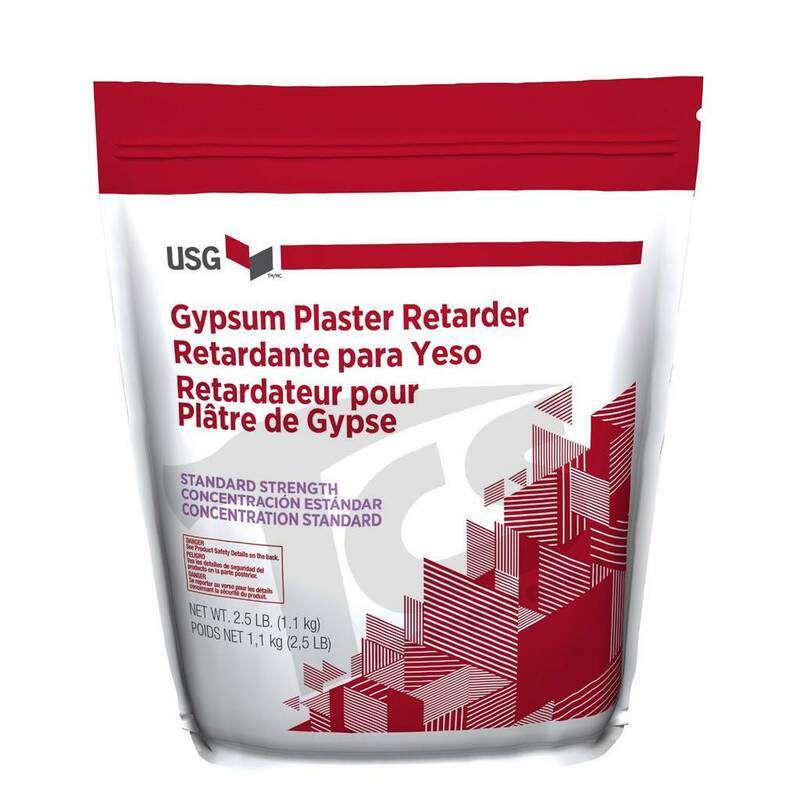 Mix one teaspoon of dry USG standardStrength Retarder strength retarder with five fluid ounces of water to prepare a solution that will extend the set time of 100 pounds of gypsum plaster by 30-40 minutes or more. For larger quantities, mix an entire 1-1/4 lb. container of USG standard-strength retarder with five gallons of water in a convenient size container to prepare the retarder solution. Slowly add retarder to the water and stir until dispersed. Screen out any retarder lumps that may have formed. These lumps would cause soft discolored spots in the plaster surface. Note that retarder is only dispersed in water and not dissolved, thus prolonged standing will allow the retarder to settle out. Always stir the retarder mixture before using. 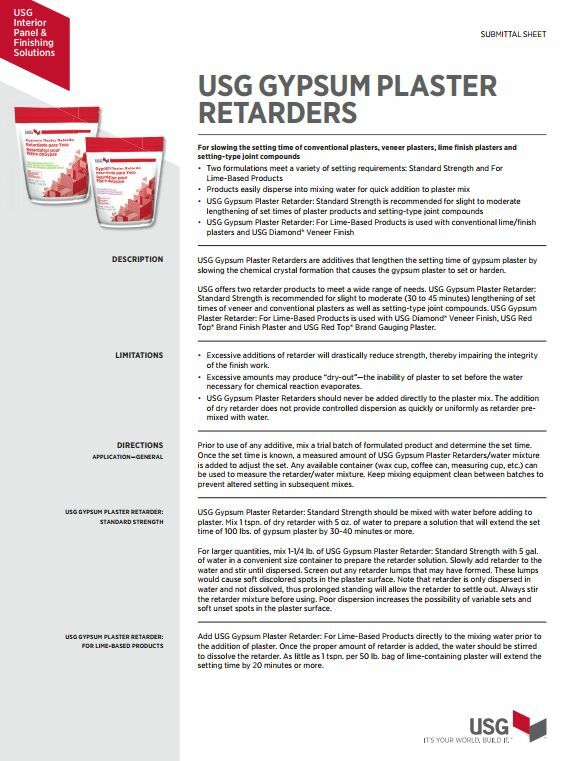 Poor dispersion increases the possibility of variable sets and soft unset spots in the plaster surface.